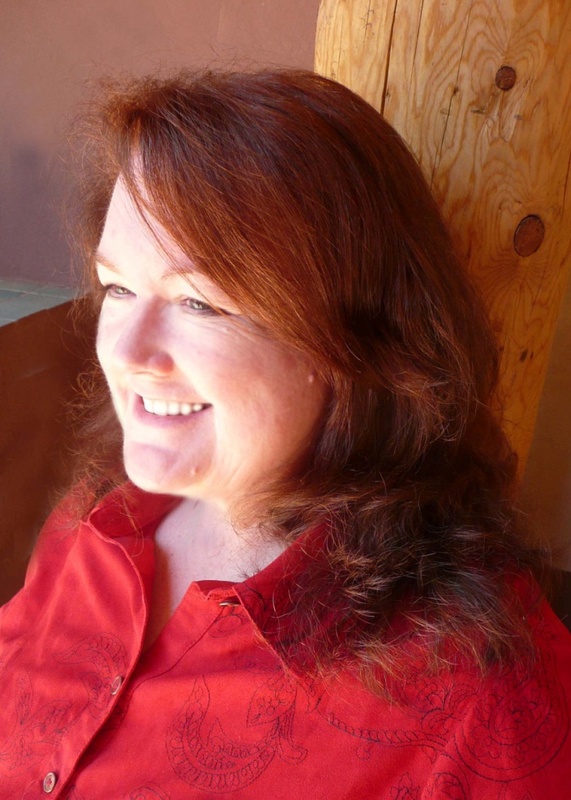 Patricia McLinn is the author of the award-winning and bestselling Wyoming Wildflowers series, on top of non-fiction, women’s fiction, western historical romance, contemporary fiction, and mysteries (the latter as P. A. McLinn). Writing stemmed from a love or reading, and reading started very young out of self-defense. I’m a good chunk younger than my siblings, who kept secrets from me by spelling them. I had no choice but to learn the alphabet, spelling, and reading to keep up. Once I started reading, my older sister would sneak me into areas of the Helen M. Plum Memorial Library in Lombard, Ill., that were considered beyond my kiddie ability to select books, then she would check them out for me. Charles Dickens has a lot to do with my becoming a writer. He used the word unctuous to describe Uriah Heep. Unctuous. Doesn’t it make you shiver? Me, too. Realizing words were so powerful ignited my desire to sink my hands into them, pour them over my head and let them stream all around me. Daydreaming, eavesdropping (just a little), newspaper articles, people watching … everything and anything. It’s the first thing I tell students now when I teach writing — there is no one right way. All the advice and how-to’s are a buffet. You can pick and choose what you want to try. Sample a bit of this, experiment with a bit of that. If you like something you can go back for seconds. If you don’t care for the taste, leave it on your plate. Be open to trying new things, and recognize that on the next trip to the buffet something entirely different might suit your appetite. The belief that it’s a great way to connect with readers who want to read what I want to write (which is also what I want to read.) I love that it’s a more direct relationship between the writer and the reader. What? You want the writing gods to curse me for denying belief in on their manifestations? No way. If there were one writer (alive or dead) whom you would love to meet, who would it be? You need to get over this “one” fixation. A partial list would include Louisa May Alcott, Jane Austen, Charles Dickens, T.H. White, Robert Frost, Josephine Tey, Georgette Heyer, John McPhee. No guilt over my reading pleasures! I like books that delve into how people interact, particularly with a bit of wry humor. And I want books that show flawed human beings trying to be better. No passive misery, please. Also don’t care for style flourishes for the sake of flourishes. I tend to gravitate toward classic mysteries, women’s fiction/romances and historicals. But any genre can deliver that satisfying read. Anyone who’s strictly a mystery reader should go directly to Sign Off, written as P.A. McLinn. Top TV reporter E.M. Danniher finds herself at the bottom of the career heap after divorcing her network exec husband. While she’s trying to figure out how to rebuild her life in rustic Sherman, Wyoming, she keeps encountering dead bodies and the stories behind them in the “Caught Dead in Wyoming” series. “Crackles with wit,” said one brilliant reviewer. Any reader should try Almost a Bride because it’s free. That way, if the reader likes my writing style, s/he can look for more, and if s/he doesn’t, there shouldn’t be any hard feelings. Almost a Bride is a contemporary western romance about first love getting a second chance and has character-driven dry humor. What’s the biggest lesson about reading you’ve learned as a writer? That reading is interactive. Each reader has a different experience from any other reader reading that book. In fact, each reader will have a different experience each time s/he re-reads a book. Writers can control what they put down on paper, and need to make their writing as clear as possible. Yet, each reader will pick up something different from the words we put down. That’s maddening to the megalomaniac that occupies at least a corner of every writer … and at the same time is part of the marvel of reading. Check out Patricia McLinn’s books on Kobo!